It was in 1911 that Charles “Ollie” Woods purchased some farm land along Foland Creek in Beaver from his uncle, Merriam Foland, and started a dairy. His son Edwin took over the operation in 1944 that eventually was named Woodstock Dairy. Fifty-five years later, two of Edwin’s sons, Wayne and Greg, began running the dairy, before deciding to go their separate ways in 2012. Wayne kept the Woodstock Dairy name, moved to another farm and now is currently farming in Wisconsin. Greg and his wife Melissa continue to operate the family farm in Beaver, which is now named Foland Creek Dairy and encompasses 180 acres. Learning the trade often evolves naturally in dairy families. 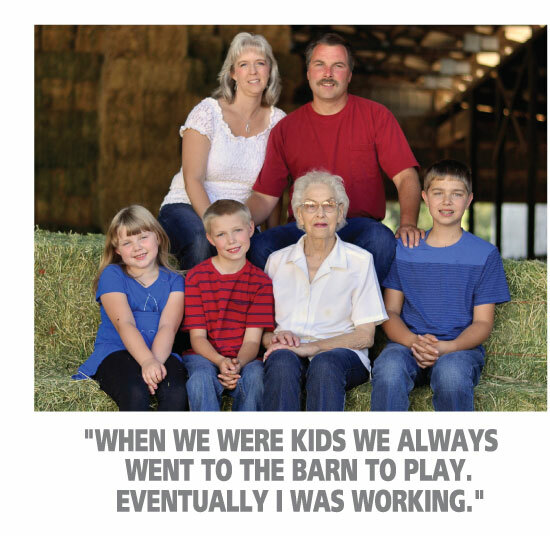 “When we were kids we always went to the barn to play. Eventually I was working,” remembers Greg. He also studied dairy farming at Clatsop Community College in Astoria. Between 2001 and 2011, Greg periodically hauled cattle across the country, while Melissa stayed home with their three children, Blake, Justin and Carrie. Eventually Greg decided that the hauling trips were “hard on the family” and that being home on the farm was where he should be full-time. The term “full-time” may be an understatement in the dairy business. “We start milking at 3:30 in the morning”, explains Greg. “By 5:30 am we’re cleaning barns and feeding the young stock.” With a full-time milker and a high school student working part-time, Greg now has a little more time for fieldwork and even some days off. He admits, however, that his definition of a day off is still “four to five hours of work.” Greg and Melissa make quite a business team – while he takes care of the dairy, she handles all the book work. “A dairy is a great place to raise a family,” points out Melissa. “Your kids naturally pick up the work ethic.” The Woods children have all been involved with the Nestucca County 4-H Dairy Club, with Melissa volunteering as one of the leaders. Greg has served as a youth basketball coach. Melissa and her daughter enjoy gaming play-days and trail riding with their two horses. Before she became a stay-at-home mom, Melissa was in the banking industry, where she worked with Angela Warren, who now manages our Oregon Coast Bank Tillamook office. 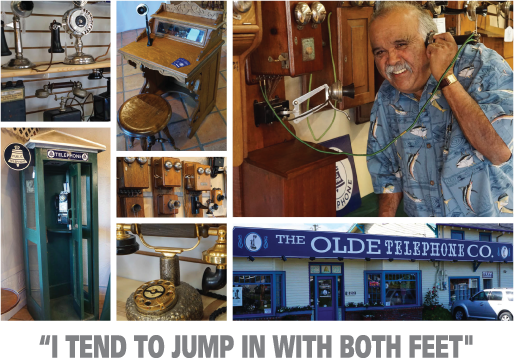 The Woods have Oregon Coast Bank savings and checking accounts for both family and business. The bank also provided financing when they purchased an additional farming property in August of 2015. Melissa saves time by managing their accounts online and is a big fan of Oregon Coast Bank online Bill Pay – “I rarely have to write checks anymore,” she says. To Greg, dairy farming isn’t just a job, “it’s a way of life.” Those dairy barns are where he was raised, where he learned his work ethic, where he returned, and where he chose to raise his own family. Watching his children play and work in those same barns, you can see what a great choice he made.